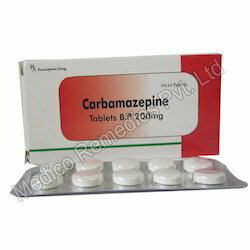 Our company specializes in offering a qualitative array of Antiepileptic Drugs. These products are widely appreciated by many clients for their precise pH value and accurate composition. Also Considered as the treatment of the first choice in trigeminal neuralgia. Looking for Antiepileptic Drugs ?